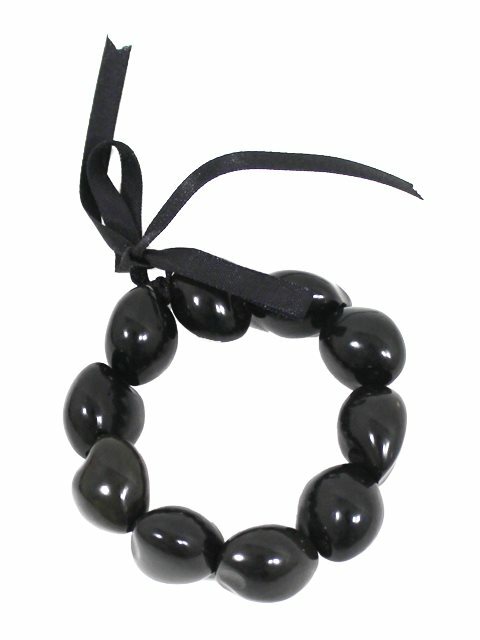 This kukui nut bracelet is made of glossy-black kukui nuts. The string holding it together is elastic, which makes it very easy to put on and remove. This is also sold in brown. Exactly what I needed at a great price! The classic in black - perfect to combine with skirts with brown or black print.